The Sherwood Forest Archaeology Project seeks to be a long term sustainable community archaeology research project. To do so it relies on a wide range of funding sources including charged events, corporate sponsorship, private sponsorship, public funding, fundraising events and crowdfunding. Various individual projects have received funding from public bodies. Often the projects are match-funded by contributions from the Sherwood Forest Archaeology Project through the community investment of Mercian Archaeological Services CIC. Through match-funding from Mercian as part of the Sherwood Forest Archaeology Project the funding bodies and the public receive the best possible value for money from sponsoring projects. This is an added value of working with Mercian Archaeological Services CIC and the Sherwood Forest Archaeology Project. 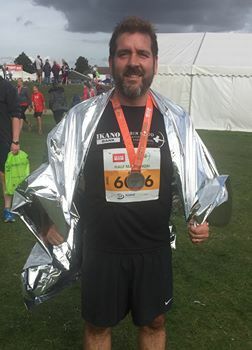 Andy Gaunt raises £500 in a “Robin Hood Challenge” half marathon run! 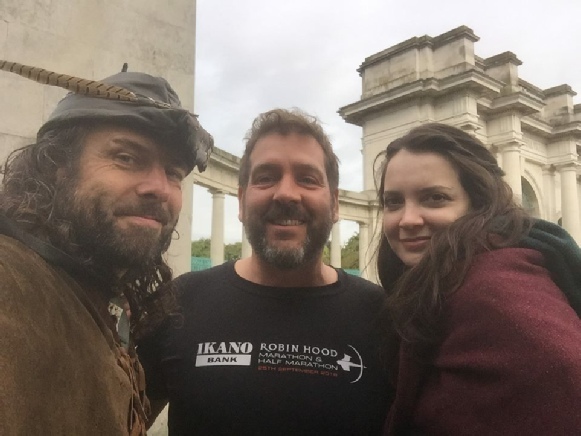 In September 2016 Mercian Director Andy Gaunt undertook the first RobinHood Challenge when he ran the Robin Hood Half Marathon to raise money to engage young people with autism in archaeology in Sherwood Forest. The run collected sponsorship amounting to £500. This money will be used in conjunction with local organisation “Spectrum Wasp” Parental Support for Autism, Asperger's and ADHD - a support group for parents with children on the autistic spectrum. Based at Ransom Hall at Ransom Wood Business Park, in Sherwood Forest. “Only Solutions LLP are proud to announce our part sponsorship of the Fieldwalking… at St.Edwins Chapel this week. Wonderful research whose time has come. We encourage local businesses and community groups to consider sponsoring the Sherwood Archeology Project... making a future for Sherwood’s amazing past.